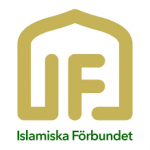 Glowing eulogies for Sheikh Omar Abdel Rahman by the Muslim Brotherhood and its followers have dealt a blow to efforts to paint the group as a ‘moderate’ organization. 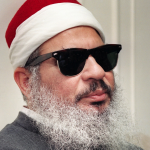 Abdel Rahman, known as the ‘Blind Sheikh,’ died last Saturday in a US prison, where he was serving a life sentence for a seditious conspiracy to launch what prosecutors called a ‘war of urban terrorism’ against targets around New York City. He also helped plot the first World Trade Center bombing in 1993, which killed six people and injured 1,042. ‘May Allah’s blessings be upon him, the deceased of the Islamic call, who was imprisoned by different repressive regimes, who was falsely and unfairly accused of terrorism by the Unites States of America, while being old and blind Sheikh, it also prevented him from receiving medical care until he met his Lord, Oh Allah please accept him and have mercy upon him,’ the Muslim Brotherhood General Office said in reaction this passing. Andrew McCarthy, who prosecuted Abdel Rahman, noted in a National Review Online column that the ‘Blind Sheikh’ was proud of being a terrorist. This fact ought to raise red flags about the character of the Muslim Brotherhood. This is not the first time the individuals tied to the Global Muslim Brotherhood have praised and or supported Abdel Rahman. In August 2007, the GMBDW reported that US Muslim Brotherhood figure Siraj Wahaj was a character witness for Rahman and was also named as an unindicted co-conspirator in the case. In July 2012, we reported that Kemal Helbawi (aka Helbawy), former spokesman of Muslim Brotherhood in the West, had called for his release and in August 2012 that Helbawi had a picture of Rahman behind his desk. Great read, thank you for sharing this article with us.